Bruce Ricketts does it again. 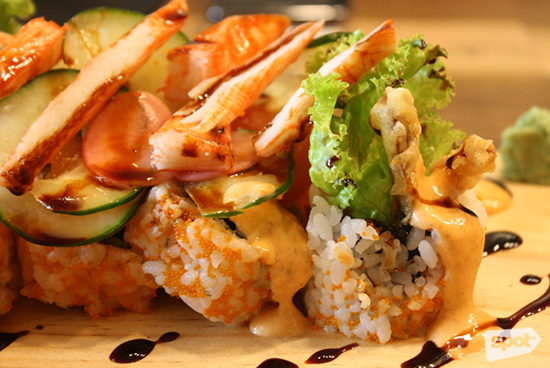 (SPOT.ph) Metro Manila is full of Japanese restaurants: two on every block, at least five in every mall. It actually feels like a new one materializes every other week. While nonetheless delicious, it's become a muddled environment of sushi, sashimi, and potstickers. Standing out seems like an ever insurmountable challenge. The Moment Group’s Ooma has the answer: bold, creative fusion that can't help but be noticed. 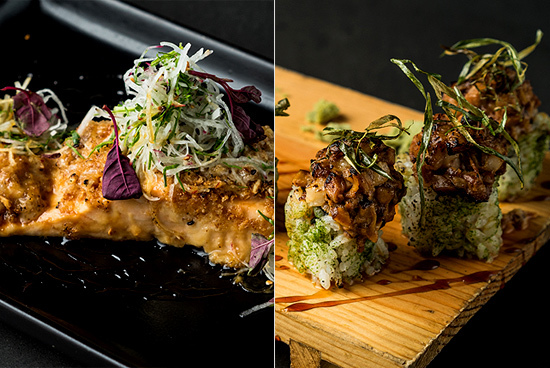 Serving conventional Japanese cuisine with an unconventionally Western twist—none of your average California rolls here—Ooma’s innovative culinary abilities set it apart from the slew of other restaurants in Manila. 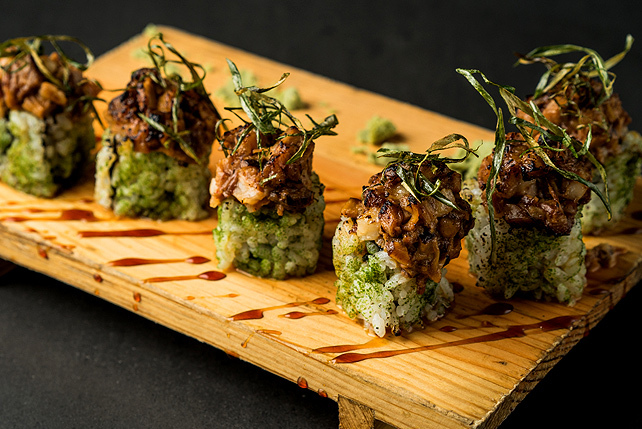 It is no surprise that its success in the past year (the first Ooma opened at the Mega Fashion Hall in July 2015) has led the restaurant to branch out—a blessing for anyone who dreads the EDSA traffic. Ooma in Rockwell is finally open. While this Ooma has all the old favorites—such as the Uni Udon (P495), a creamy noodle dish reminiscent of a briny alfredo pasta, and the truffled goodness of the Hanger Steak (P495)—some items are exclusive to this branch. 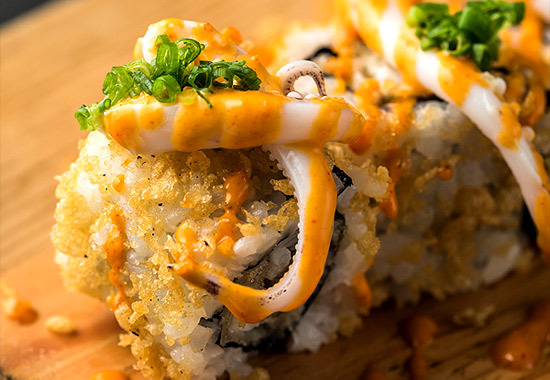 One such dish is the Tempura Soft Shell Crab Maki (P285), an explosive combination of cherry tomatoes, basil, and, of course, crab tempura, balanced with cooler hints of cucumber. 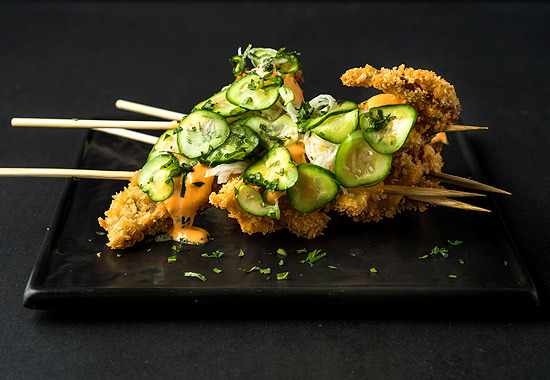 Ooma extends their flair for soft shell crab with the Soft Shell Crab Katsu (P265), which is a crispy, juicy, skewered masterpiece that we recommend you share with a friend or two. 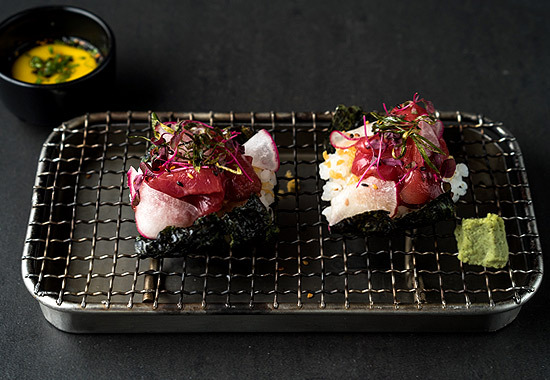 For those who don’t mind messier eating, there is also the Maguro Zuke Taco Maki (P199), which is comparable to a mini Japanese-seafood taco, in a little crispy seaweed throne instead of a crunchy tortilla shell. 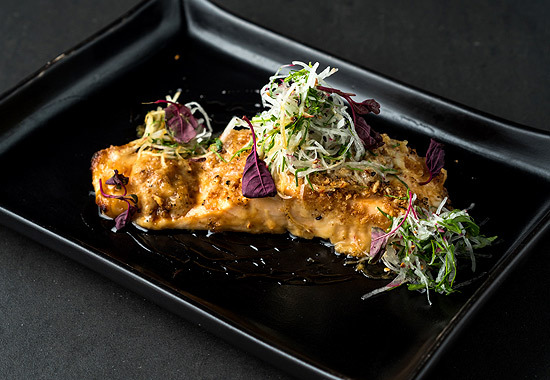 No stranger to unusual fusion, Ooma’s latest menu also offers a selection for customers who are not in the mood for seafood. 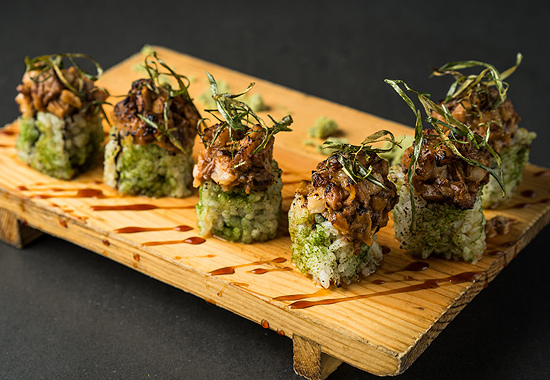 The Steak Aburi Maki (P299), for example, blends the smoky taste of steak with the sharper flavor of leeks and pickled onions. Ooma also offers a varied selection of noodle and rice bowls for those who need to fill up with more than just sushi. 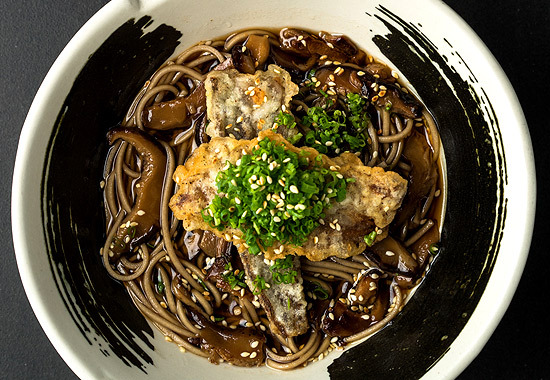 Those with a more delicate appetite might appreciate the new Anago Truffle Mushroom Hot Soba (P495), a blend of richer truffle mushrooms and savory eel-tempura, exquisitely complemented by a light seaweed flavor. And in addition to a varied assortment of main courses, Ooma doesn't falter in the dessert department. Chef Bruce Ricketts once again displays his pitch-perfect skill for balancing flavors in the Lime Coconut Panna Cotta (P195). 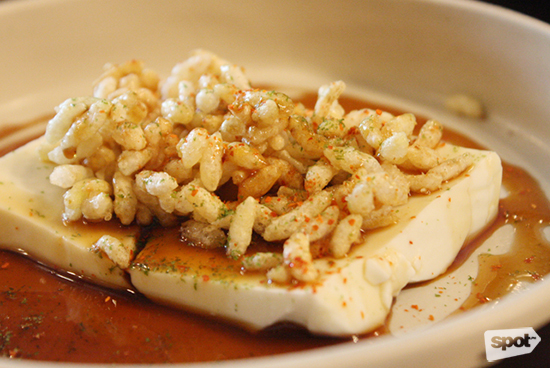 The creamy gelatin is as soft and smooth as it should be: crunchy puffed rice gives it bite, while the lime contributes a citrusy tang. The togarashi, however, sprinkles a game-changing spice that surprisingly works wonderfully for this dessert. With such a diverse menu, Ooma is bound to have a dish for anyone and everyone. The bold, imaginative risks that the restaurant has taken have definitely paid off, consistently proving that the most unexpected food combos can succeed, with remarkable results. 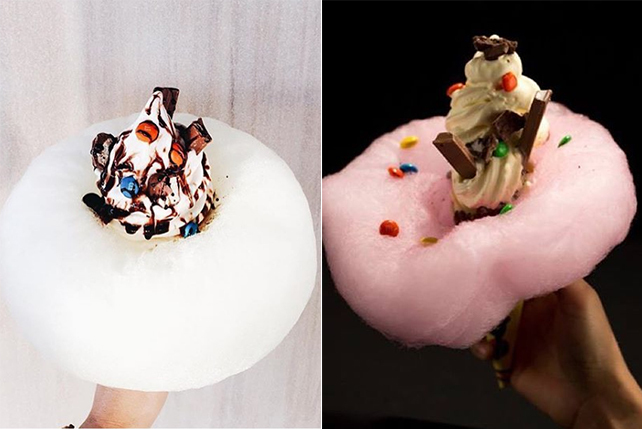 Why is this Cebu restaurant all over Instagram?